First Blink 182, now Radiohead. Both bands have been MIA for a minute now. The last piece of music we've seen from Radiohead was their 2011 release of "The King of Limbs" which gained positive reviews for its experimental approach(ironically that's nothing short of the usual, coming from these guys). Now, they've released a song titled "Burn The Witch", uplifting our hopes of a new album. 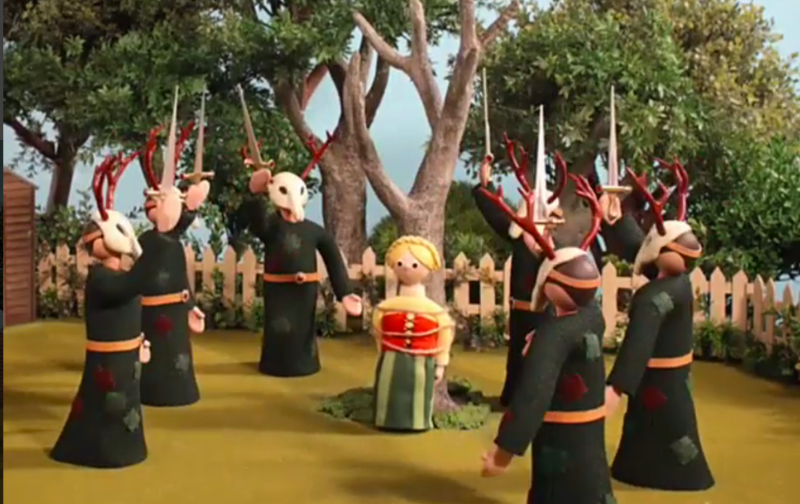 And in true Radiohead fashion they release an awesome video to go along with it. The video is a cartoon, like their famous Paranoid Android video, making you glue your eyes to the screen as you try to look for it's underlaid meaning. What makes Burn The Witch different is its approach in stop-motion animation, looking like it came straight out of Robot Chicken or Celebrity Deathmatch. This video seems to emulate the cult-classic "The Wicker Man". Also, they set the time period of the video in the notorious middle ages, especially in England and the "new world". Could it possibly be satirising today's society as well??? Check out the creepy visuals below.